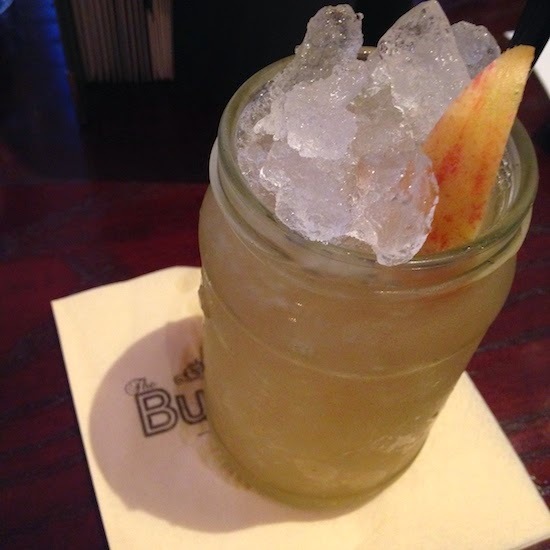 Emily's Recipes and Reviews | UK Food Blog | Leicestershire : the bureau bar, birmingham. to start, we decided to share one of their infamous deli plates to see what all the fuss was about. coming to a surprisingly speedy unanimous decision, we went for duck scotch eggs, potted meat and herbs, salt pollock fritters with sweetcorn relish and smoked chicken. this arrived with some interesting artisan breads too. not a bad sharing starter for £12 in total. my favourite bits were easily the scotch egg and the pollock fritters. as you can see the egg was deliciously cooked just the right side of runny and the crunchy pork casing was herby and tasty - a real posh pub snack! again the pollock fritters were crispy and tasty, though i personally wasn't taken by the sweetcorn relish and would have preferred more of a chunky tartare. 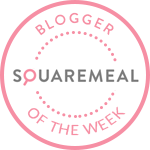 apart from my cherished seaweed, leek and cheese burger from leicester's oi potato, this flavoursome veggie burger could well be on its way to the top of the league. when a restaurant has made an effort to create a homemade vegetarian burger you know you're on to a winner. this was packed with local organic vegetables and herbs and served on a brioche bun with a slice of melting cheese. we also shared chips and a coleslaw, which was made from red cabbage, carrot, onion and their in-house mayo. the chips were a bit on the chunky side for me and some of the larger ones were a tad undercooked, so i happily munched down the squidgy veggie burger delight and a double helping of coleslaw. have you been to the bureau before? what are your favourite cocktail places in birmingham? note: we paid for our own food and drinks. all opinions are honest and my own. Wow, yummy...the photos look awesome as well the dishes.. I forgot how good that deli plate was! Yummmmmmmy.